The web conference or online meeting has become a valuable tool for small businesses, opening a variety of options for connecting with clients and colleagues immediately. As the growth of the small business community continues, we see an increasing amount of companies with employees working remotely. In fact, a survey of 1,500 business owners was conducted earlier this year by Elance, a site that matches employers with employees who are able to work remotely. The survey found that 54 percent of those business owners expect the majority of their work force to be working online by 2017. A remote work force can help remove barriers that small businesses previously faced. Employers are no longer bound by the location of their employees, and can select the best talent available, not just the best talent located in the immediate area. Employees are no longer obligated to relocate their families when accepting a position that is located on the other side of the country. The web conference now allows employers to connect with their remote workers in real time, who can share progress with their current assignments and discuss upcoming projects. Employers can also train new employees and conduct performance reviews. Web conferencing literally tears down the walls of the conventional office and provides a more flexible work environment. 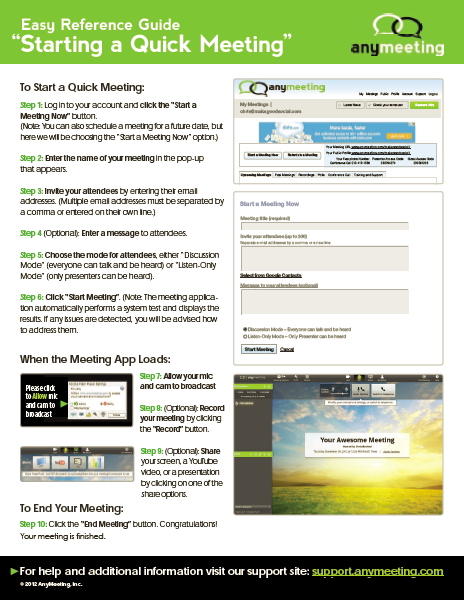 The online meeting can also save time when conducting business with clients. Instead of dealing with the travel time and expense it can take to meet with an existing or perspective client in person, the web conference can get that important meeting started immediately, and at no cost with a solution like AnyMeeting. There are several resources available online that offer tips to help ensure a smooth and successful web conference. Productivity501.com has several articles including one with nine tips for effective online meetings. With our busy schedules, it can be difficult to find time for those important in-person meetings involving your child’s education. Sometimes it can be hard to get around work and the other responsibilities we face, so how can you make sure you stay involved when you can’t be there physically? This is where a free web conferencing solution like AnyMeeting comes in handy. Even though you can’t be there in person, you can be still there online. Here are five ways AnyMeeting can help bridge the education gap we all experience with our children. Parent/Teacher Conference – Meet with teachers and get the important details on your child’s progress without having to physically go to the school. Study Groups – Help your child set up and attend study groups with classmates to prepare for the upcoming exam, or work together on an important class project. Tutor Help – Get your child the one on one instructional help he needs with that awesome tutor who may live in another state or country. Preparation – Practice makes perfect. Use AnyMeeting to practice, record and review your child’s important class presentation. Send the recording link to others who can provide input. 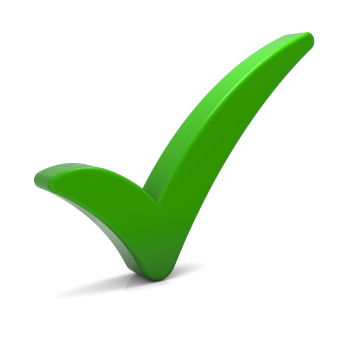 Testing – Help make sure they’re ready for the exam. Use AnyMeeting to create custom quizzes and tests to help give your child the best shot at getting an A+. Often it can be difficult to find the time and be as involved in our children’s education as we would like to be. Our lives get filled with obligations that have to be met. However, AnyMeeting can help keep you informed and involved in your child’s education. Even if you can’t be there in person, AnyMeeting can help you and your child make the grade.